Download the Zenko Yoga App today to book your classes! 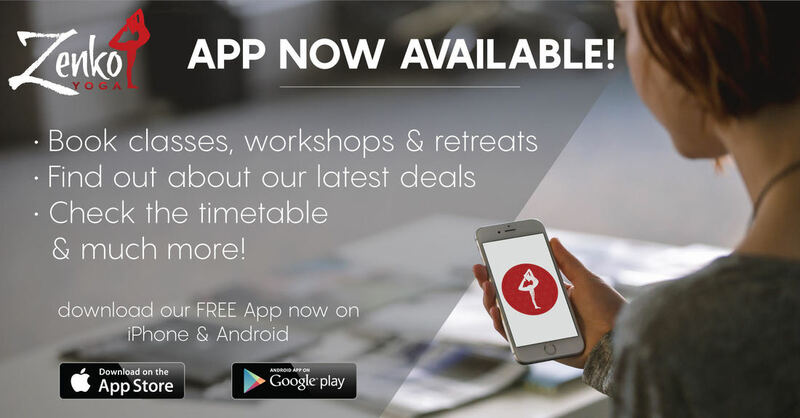 Available for both iPhone & Android, you can view the timetable, book classes, workshops and retreats plus get the latest deals. Optimise your time and maximize the convenience of signing up for classes from your mobile device. Download this App today!